A group of history students in Australia claim to have uncovered evidence that the Duchess of Cambridge’s family once had links to a forgotten stately home near Leeds. Art historian Michael Reed, of Hallam College in Melbourne, and his students discovered that the Duchess’s great-grandmother, Olive Lupton, was born and grew up on the Potternewton Hall Estate near Leeds. More interesting is the Duchess of Cambridge’s connection with Potternewton Hall – long gone – but once one of several country houses in the area – Potternewton Park Mansion, Newton Lodge and Scott Hall. Potternewton Hall stood on land once owned by the Earl of Mexborough. In the early 1700s the Barker family bought a large parcel of land and around 1720 built the three-storey country house. From 1860 the family had split their estate and sold Potternewton Hall along with 13 acres to Frank Lupton, a wool merchant and mill owner, and the father of politician Francis Martineau Lupton. The Lupton family had been landowners since the 18th century and Frank’s brother, Arthur Lupton, a wool merchant in the family firm, owned the adjacent Newton Hall Estate. Arthur had nurtured ideas for subdivisions on his adjoining estates since the 1850’s and in 1870 decided to sell Newton Hall to Frank and his other brother, Darnton Lupton. Darnton had lived at Potternewton Hall from the 1830’s and had been Mayor of Leeds in 1844. By the end of the 19th-century the Luptons did not live at Potternewton Hall. The house was now lived in by the Nussey family who are likely to have taken out a long lease and remained there until 1933. In 1910, the New Briggate Development Company bought half the shares in the Lupton-owned estates and after World War One, with the demand for housing increasing, came the realisation they were sitting on a potential cash windfall. By 1927 the estates had been sold to United Newspapers who were investing in new markets. The sale of land, and a hefty profit, was obviously their motive because, in 1933, Potternewton Hall was being advertised for sale as “valuable building land”. The Yorkshire Post was already reporting that the Newton Hall Estate was “the largest private building enterprise in Leeds”. Potternewton Hall was bought by Max Rabinovitch, a wholesale jeweller, of Nassau Place, in Chapeltown. 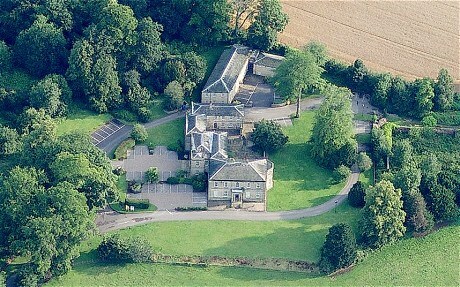 The house and 13 acres had clearly been bought for redevelopment. Just over twelve months later Potternewton Hall and 5 acres at the front was sold for a hefty loss to Pickard and Co, a Leeds building contractor, who confirmed they would demolish the house and build on the land. 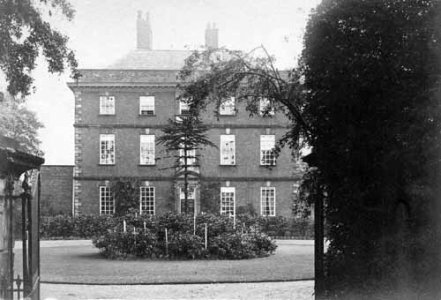 By 1935 both Potternewton Hall and Newton Hall had vanished and the land further sub-divided. At the outbreak of World War Two a new housing development, Riviera Gardens, flat-roofed white painted houses, had replaced the house and surrounding gardens. While Leeds may not have played a major part in the Duchess of Cambridge’s life she does have a strong connection. Michael Middleton, her father, spent his first two years (until the age of two) living at Moortown in Leeds. 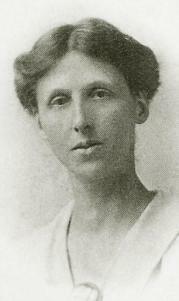 Olive’s cousin, Baroness von Schunck (née Kate Lupton), also spent her early years with Olive’s family at Potternewton Hall. 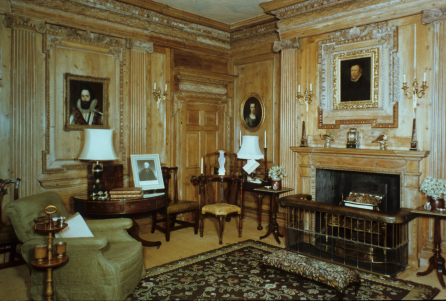 In fact, Baroness von Schunck’s daughter, Baroness Airedale, lived on the nearby estate – Gledhow Hall – which was once painted by J.M.W. Turner. Undoubtedly, the Lupton’s were a very distinguished family. Olive Middleton’s two uncles were both Lord Mayors of Leeds – Sir Charles Lupton in 1915 and his brother Hugh Lupton in 1926. Her cousin, Miss Elinor Lupton, was Lady Mayoress in 1943 in her own right. Apart from Potternewton Hall and Newton Hall, the Lupton’s owned a large number of grand houses in the area. These included Beechwood, in Roundhay, Mount Pleasant in Harehills and The Acacia on Oakwood Garden. Beechwood was a Georgian mansion on a large farming estate. It was purchased by Frank Lupton, Olive Middleton’s grandfather, in 1860 and eventually became the Lupton family seat. It stayed in the family until 1998. Much of the Beechwood farming land had been sold by the 1950’s to create a large council estate.